Enjoy all the benefits of Bitdefender’s award-winning security on Windows 10! Why use several security products when you can have the ultimate all-in-one solution? 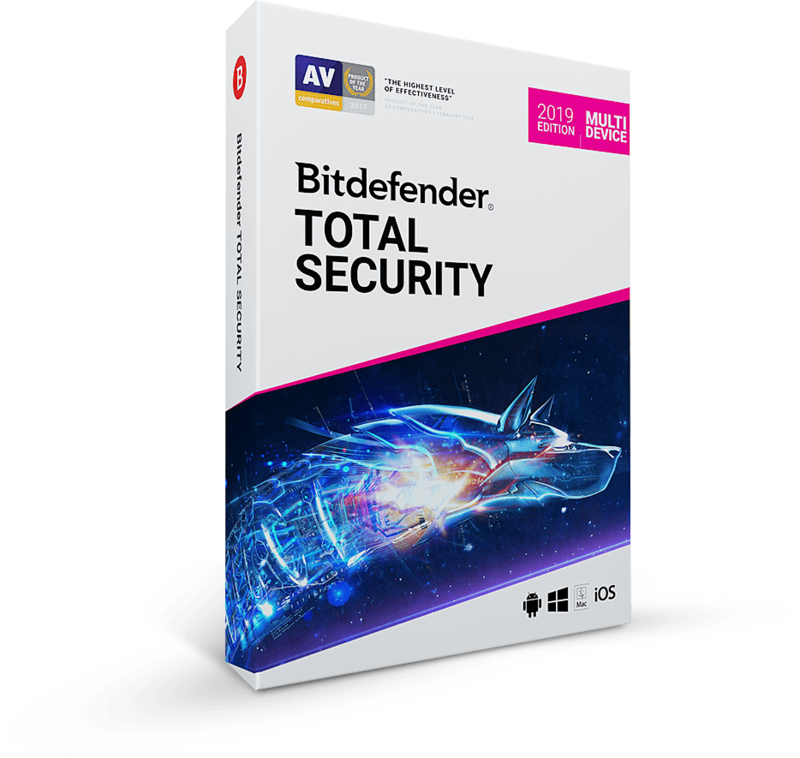 Bitdefender Total Security Multi-Device 2019 is the perfect choice when you want to protect your Windows, Mac OS and Android devices all at once. 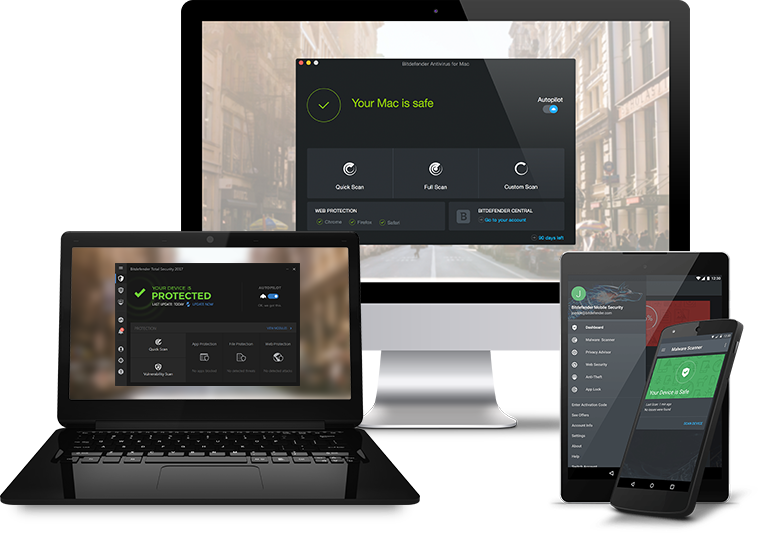 Bitdefender Total Security Multi-Device 2019 delivers ironclad protection against even the most advanced malware and provides features designed to safeguard your private life across multiple platforms — all without slowing down your devices. It uses the most advanced security technology in the world, yet it’s simple and intuitive. You only need one account to protect up to 10 different PCs, Macs, and Android smartphones and tablets. Get Bitdefender Total Security Multi-Device 2019 now for the best cross-platform protection and performance.